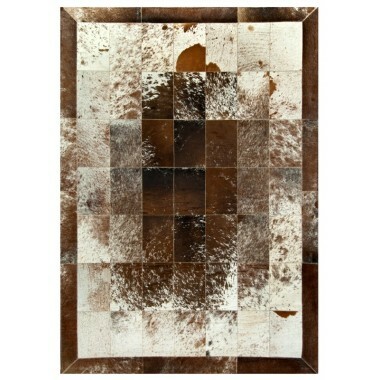 The true elegance of this piece can only be realized in person. 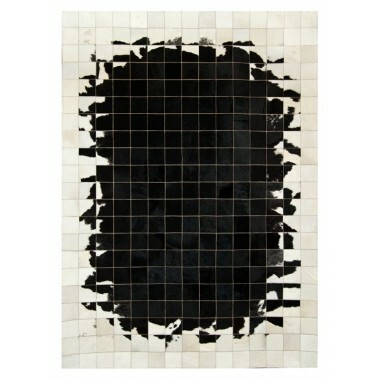 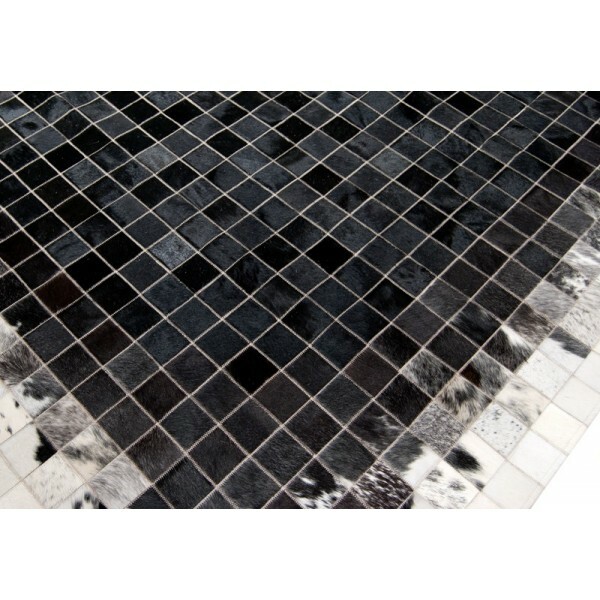 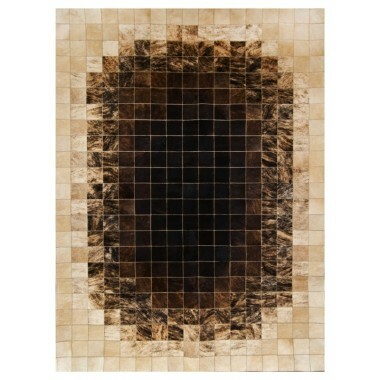 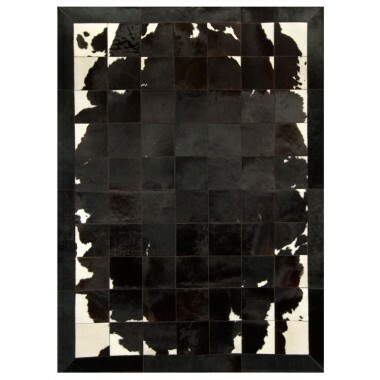 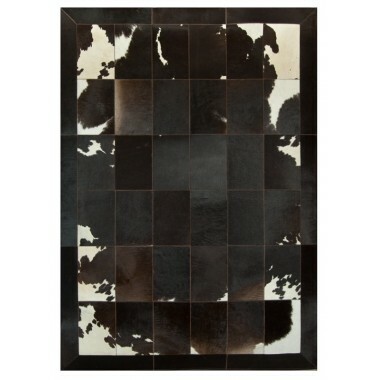 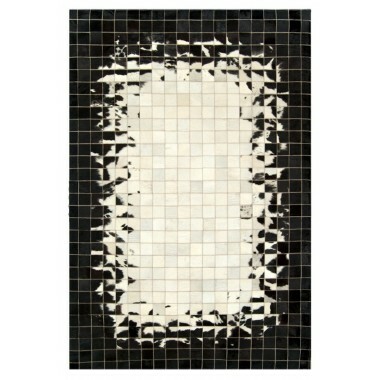 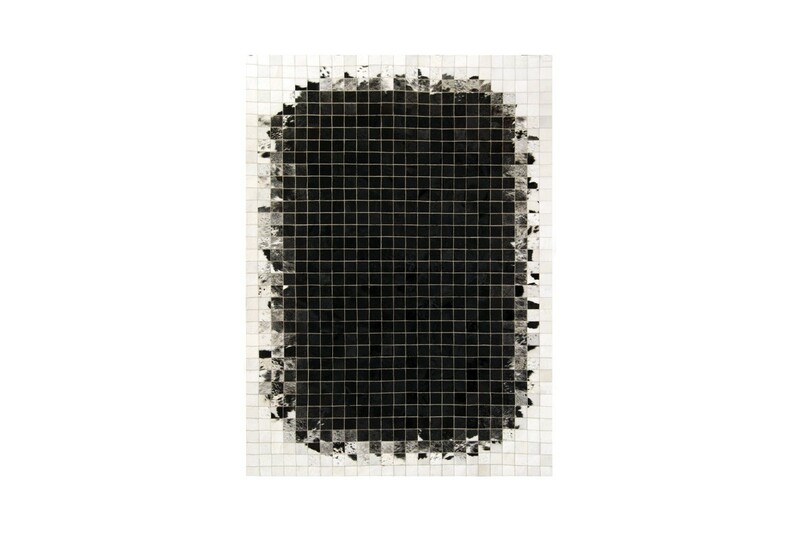 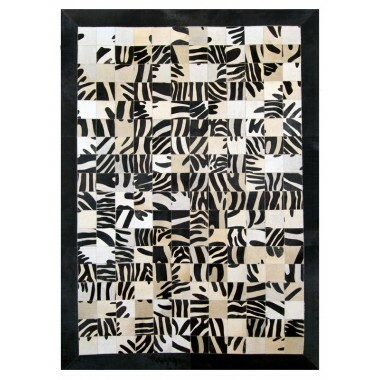 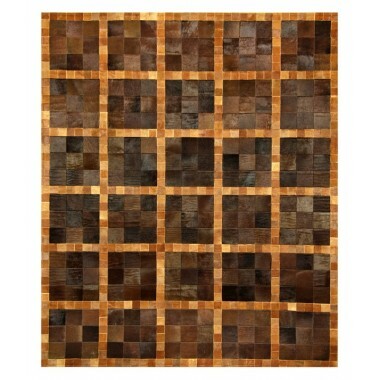 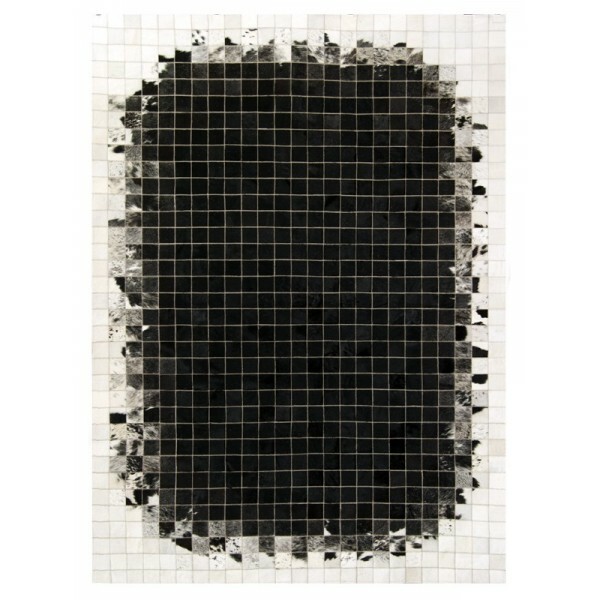 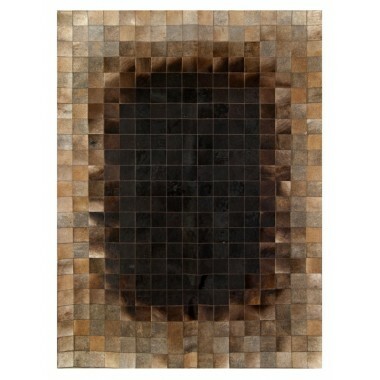 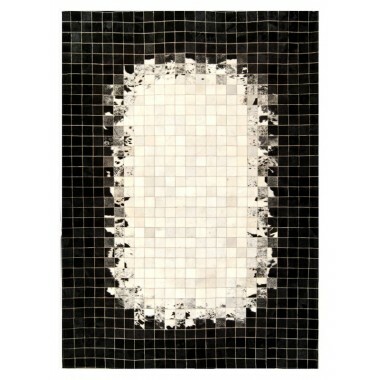 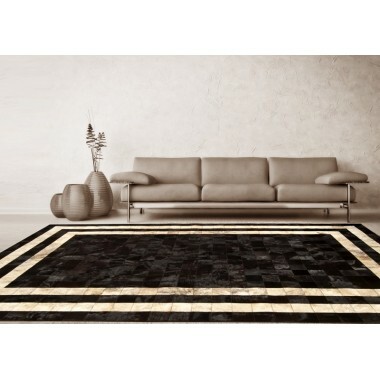 The deep ebony and contrasting ivory gives this piece a pronounced presence in a room. 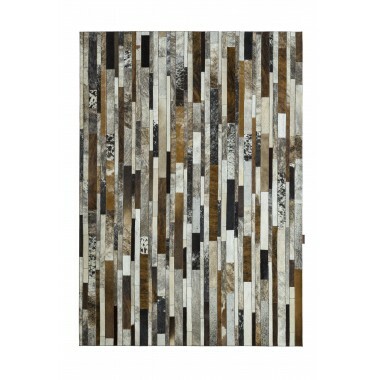 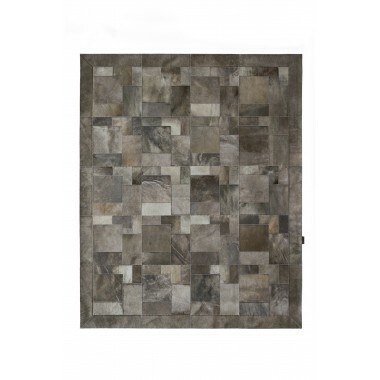 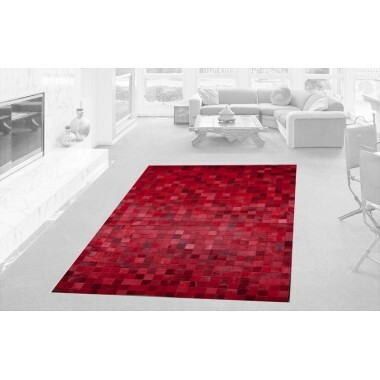 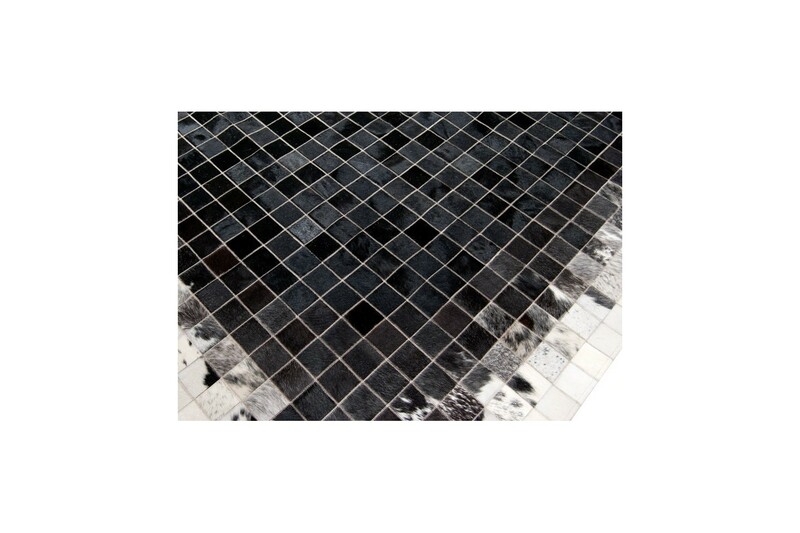 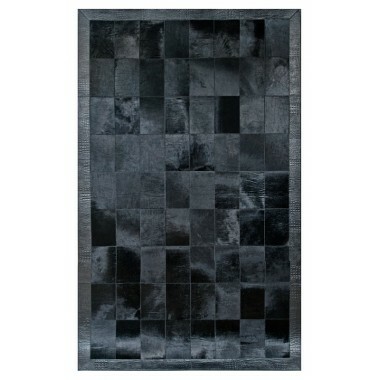 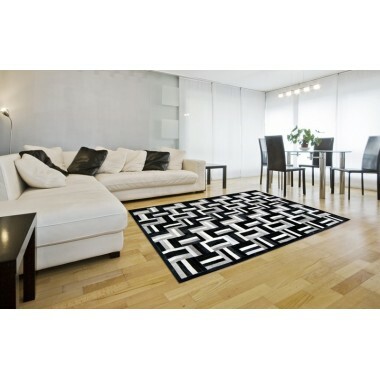 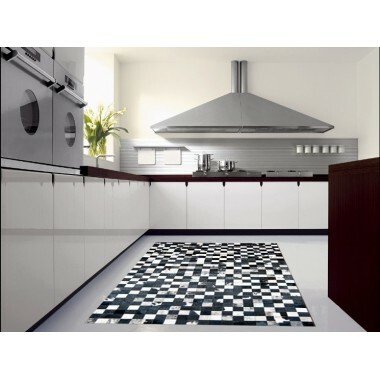 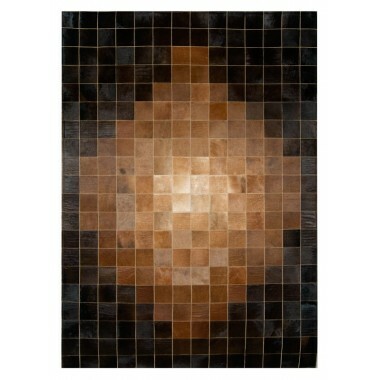 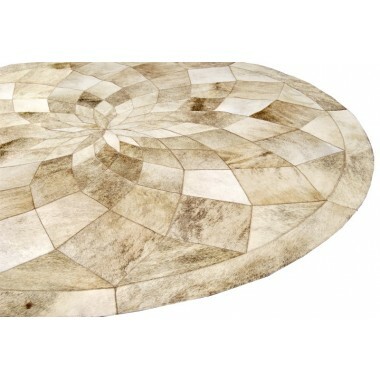 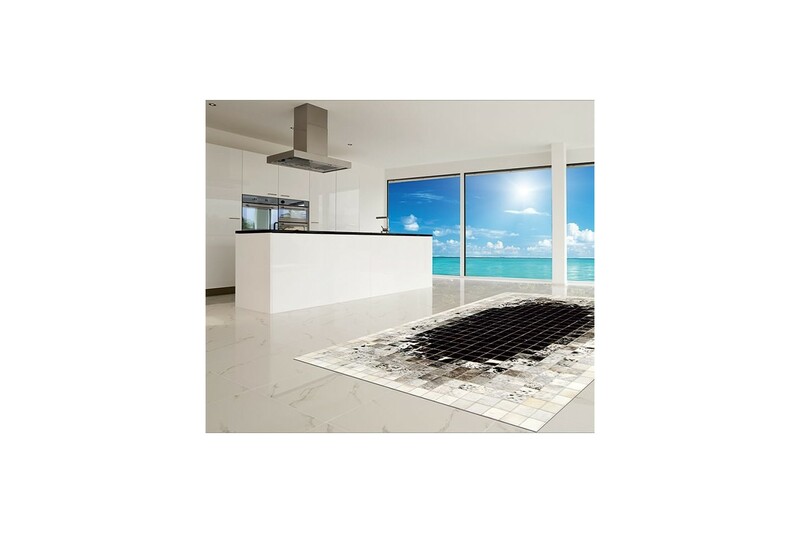 Along the edge of this masterpiece are soft dapples of color, all which add to the dynamic appearance of this rug. 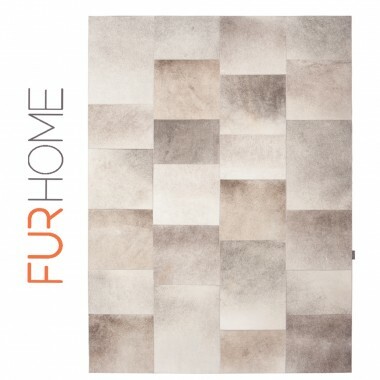 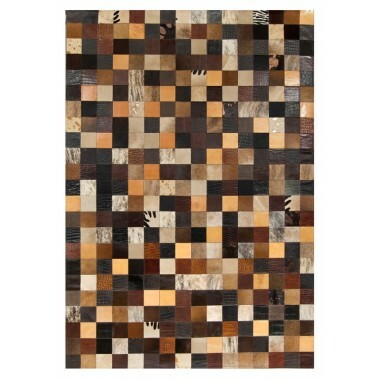 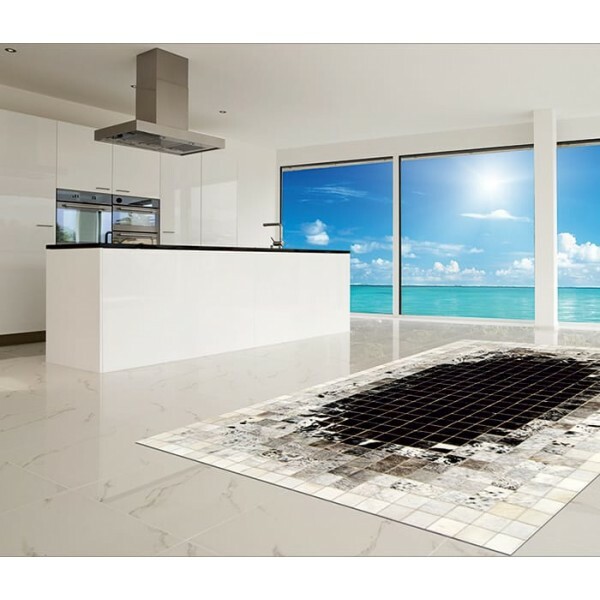 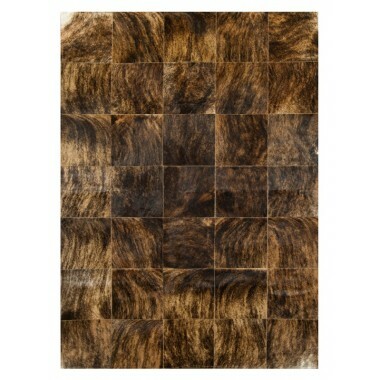 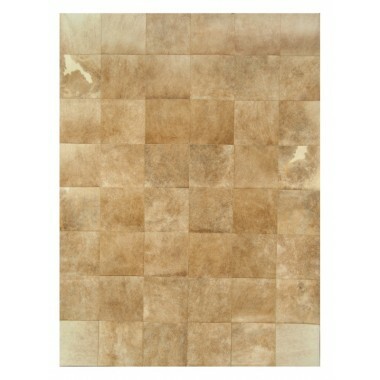 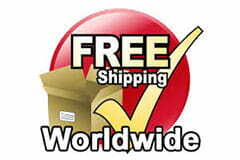 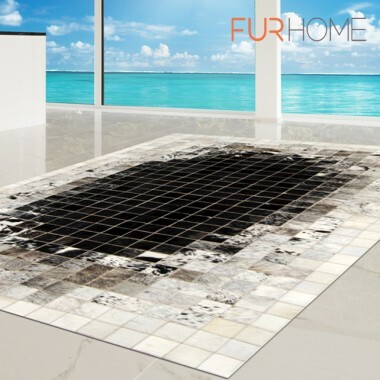 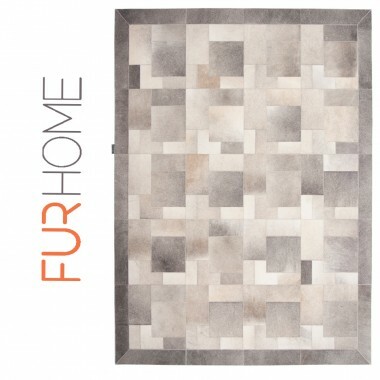 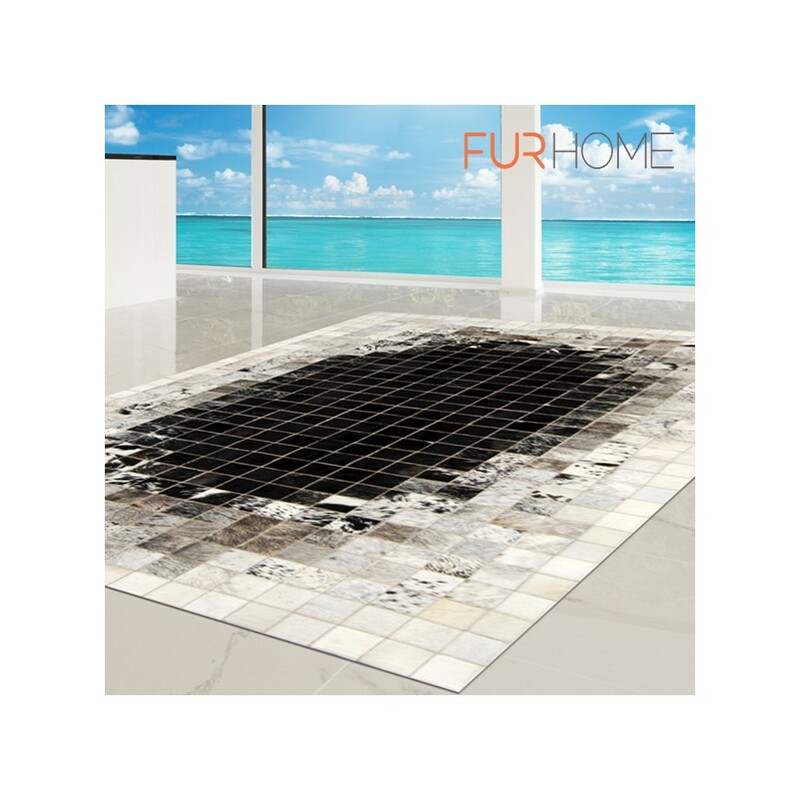 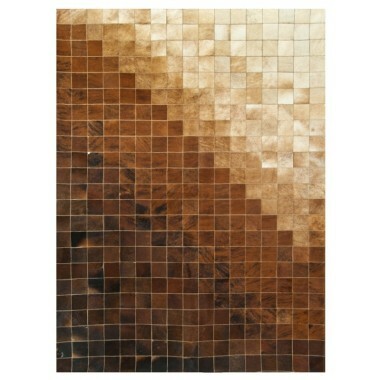 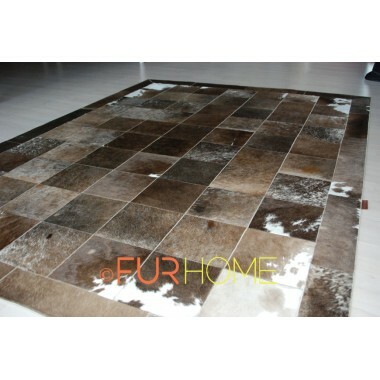 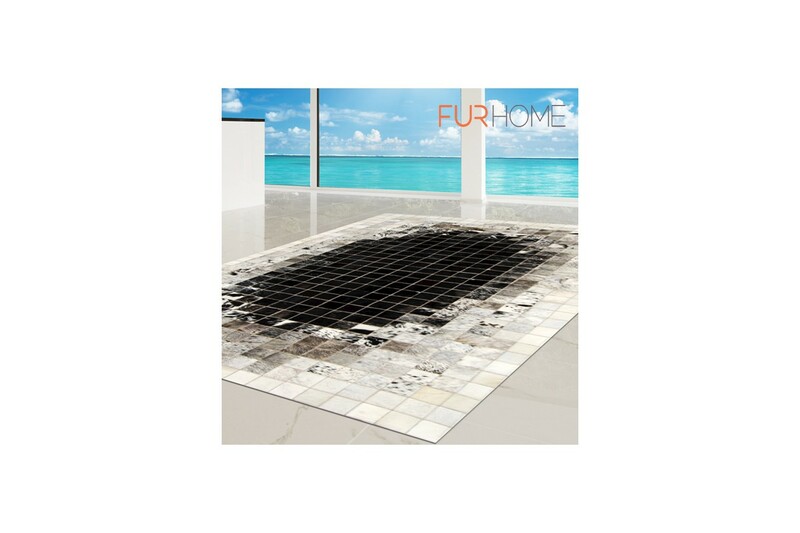 There is a specific kind of happiness that comes from having a lavish cowhide rug crafted by Fur Home. 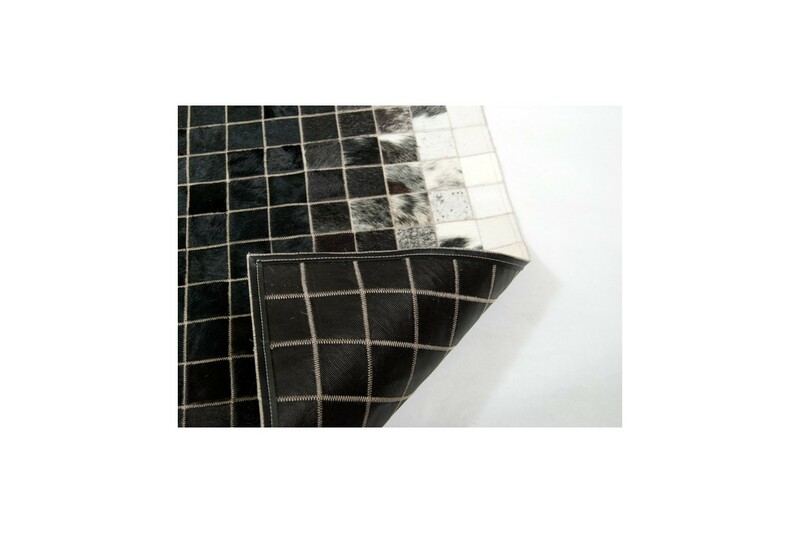 Our artisans ensure that the stitching is somewhat defined to give you a better appearance of the rug being tiled. 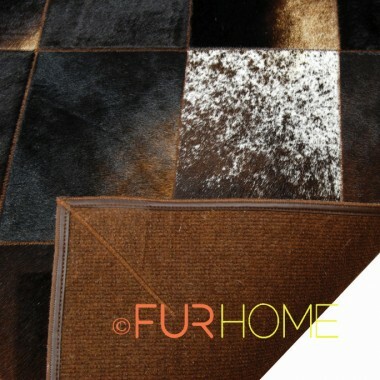 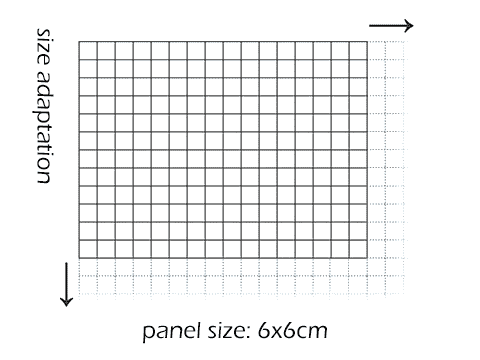 In fact, each individual patch is sewn together after careful planning to give you one, cohesive, non-slip area rug.